Join us for some magic and fun at WonderCon! Tomorrow, March 30th, 2019, the creators of The Dragon Prince, Aaron Ehasz and Justin Richmond, as well as the voices of your favorite villain family, Soren (Jesse Inocalla), Claudia (Racquel Belmonte), and Viren (Jason Simpson) will be spending the day at WonderCon! The team behind Netflix Original animated series The Dragon Prince are bringing you an inside look into the magic of the show. 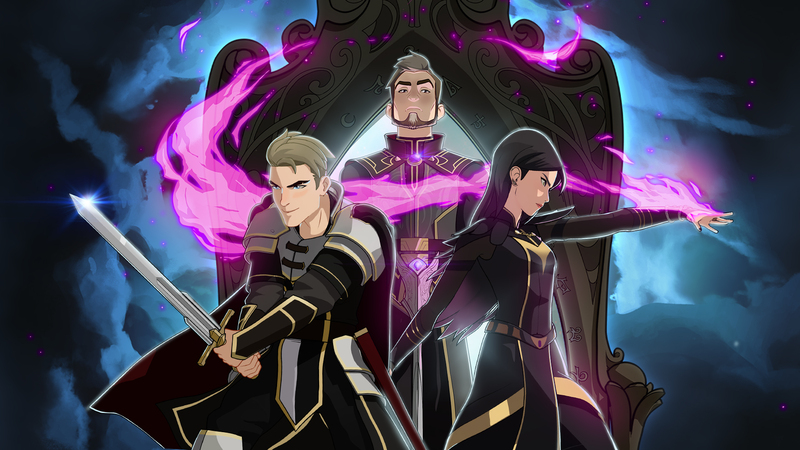 Join creators Aaron Ehasz and Justin Richmond, along with the voice actors of your favorite family of villains: Jason Simpson (Lord Viren), Racquel Belmonte (Claudia), and Jesse Inocalla (Soren). With seasons one and two behind them, you’ll get to hear about how they got to where they are now and what’s on the horizon for the future of The Dragon Prince. This is a line-up signing. There are no tickets available for this.